When you have a credit card, since it’s not coming out of your checking account, many people don’t think it’s necessary to track spending. The problem with this is that you can be unpleasantly surprised by how quickly it all adds up. Taking the time to track your credit card spending can keep you on your toes — and within your budget. If you don’t know your current balance, you could easily go over your limit, incurring fees. Balance transfer deals are great. You can get 0% or interest, or some other low interest rate, and you start making serious inroads on your principal. It can even be fun to buy things, knowing that you aren’t paying interest. However, if you forget when the intro period ends, you could be stuck. Plan to pay of transferred balances by the intro period, and don’t get too comfortable carrying a balance. You should regularly reconcile your credit card account. Check to make sure that your records match with the records from your credit card issuer. This is also a good time to check for fraudulent purchases. If you don’t regularly reconcile your account, you might miss mistakes, as well as not see evidence of identity fraud. Regularly checking your account can ensure that you catch mistakes — and fix them — in a timely manner. When you are issued a new credit card after your old one expires, you need to remember to update your automatic payment information. If your satellite TV service is on the card, and you haven’t updated the information, you might have your service interrupted. Not only that, but you might be charged an extra fee due to the “returned” charge. Additionally, if the service is quick to report to credit agencies, you could see a ding on your credit report for a missed or late payment. Whenever you have automatic bills paid with your credit card, or if you have the information saved for other payments, you need to update it to avoid problems. You should also check your credit report to make sure that everything is accurate. When we applied for a mortgage a few years ago, we discovered that one of our credit cards was listed twice. It looked as though we had more debt than we did! Other issues that can be caught when you regularly check your credit report include fraudulent accounts, inaccurate information about your payment history, and wrong information about how much you owe. Make sure to check your credit report regularly and fix any mistakes that appear. I would also add mistake number 6. Forgetting about Card advantages. This can lead you to useless expenses. Like speaking about Credit Card insurance. I’m perfectly sure that not every Canadian knows about insurance he has on his credit card. And this package can include medical travel insurance, rental car insurance, extended warranty, flight delay and baggage loss insurance. So this all can be covered with the help of your already existing credit card. But if you don’t know about it you buy it again somewhere else. It’s a a very realistic example of an overlap you have in your finance portfolio. I check all the abilities I have on my credit card to save on it and to avoid paying twice. It’s possible to do here https://insureye.com/insurance_toolkit. I discovered this service after reading about it in Michael James on Money blog http://michaeljamesmoney.blogspot.com/2011/06/making-sense-of-insurance-coverage-with.html. And made it sure that it does work. Anyway the advice is – check it with all possible means and don’t lose money-). Thanks for the link, Martina! Just tried it out – very cool tool! like cleared checks, write the real check and you just carry your balance down. You forgot the most important mistake of all. Carrying a balance and not paying off each month. If you cannot afford to payoff each month then you should not be using a charge card. Credit cards are great for tracking purchases and convienance, but should be avoided if you cannot or will not pay off the balance due each month. I use one card for everything and it pays me back (reward points) about $500 cash each year. I refuse to pay the banksters any interest or fees. When a younger single mom I used many credit cards but didn’t go overboard with the level of debt I put on them. 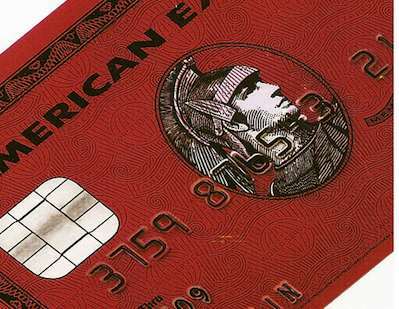 Now as an empty nester I have no credit card debt, I only use American Express and pay the balance monthly. While it costs me $45 a year to maintain the card the point return ends up pumping around $750 a year back to me. How do I get these numbers back out, I pay everything I can with this one card then sit back and let the points stack up. Another mistake that is made very often is closing credit card accounts. When you do this you increase your revolving utilization, and in the credit world, lower utilization is better utilization. This tells the reporting agencies how much credit you have available in total, combined for all of your credit cards. If you have an open and unused credit card it will make your revolving utilization lower, and your credit score higher. Not to mention, unused credit cards eventually fall off of your report on their own. No. 2 is very practical for those who have gone over their budget. I have used this many times and it helped me plan my payments. At least I avoid paying costly interest on principals not paid in full. Thanks for all these suggestions. I was wondering if it was a smart idea to pay off my credit card of 16,000.00 in full if I only had 18,000.00 available?